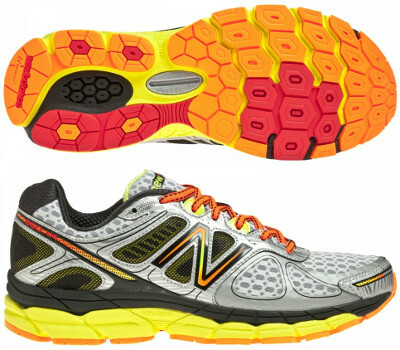 New Balance 860 v4 are stability cushioned running shoes. The New Balance 860 v4 features outstanding cushioning at the same time as motion control, a perfect balance for heavy users demanding stability when running. This update presents a wider mid and forefoot and a combination of sewless and synthetic overlays upper for a better fit and comfort. Improvements in stability come from the ABZORB® crash pad in the heel and a lightweight and flexible TPU shank (T-Beam) under the arch to help prevent over-pronation. Cushioning relays in ACTEVA® LITE midsole providing supreme comfort. Outsole has been redesigned and now it uses Ndurance® rubber compound for maximum durability and better grip. Drop keeps around 12 mm. This model has been reported as one of the stiffest ones available.